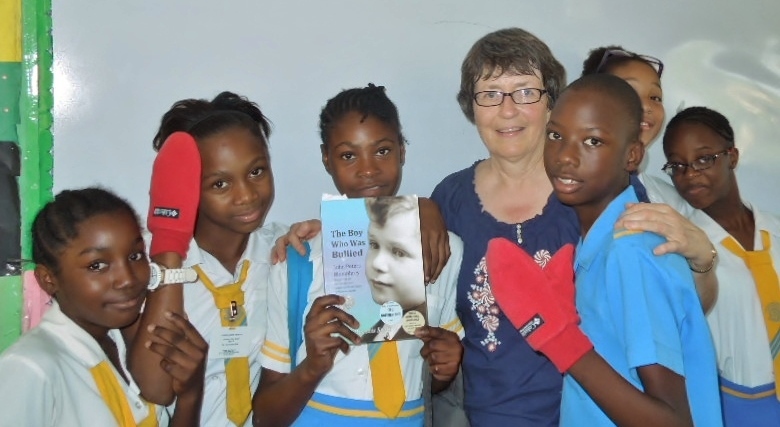 I gave 11 presentations on my book while volunteering at a school in Jamaica in January, 2014. Mrs. Lindsley was delighted to receive a copy of “The Boy Who Was Bullied”. She remembered her grandmother talking about John Humphrey in the early days of the United Nations (1947). Mrs. Lindsley said that her grandmother considered John as an ‘ally’ when they worked together on the United Nations Human Rights Commission. 3000 copies of “The Boy Who Was Bullied” have been sold since the first printing in October, 2011. Any profits from the sale of the book, realized by the author, will be reinvested in Human Rights work for children. A book launch at the United Nations in New York City, hosted by Ambassador Guillermo E. Rishchynski, Permanent Mission of Canada to the United Nations, was held on December 12th, 2012. The New Brunswick Department of Education has approved the book as a supplementary source for Elementary/Middle School Social Studies Curriculum [Anglophone sector]. 600 copies have been distributed to New Brunswick Schools. The Prince Edward Island Department of Education has approved The Boy Who Was Bullied as a resource for their Grade 7 Curriculum on Empowerment. Anti-Bullying Programs and Bullying Awareness supported. The book ties into the theme of bullying awareness by helping raise students’ understanding of the importance of Human Rights and of their responsibility to support those whose human rights are being abused [standing up to bullies and befriending the victim]. 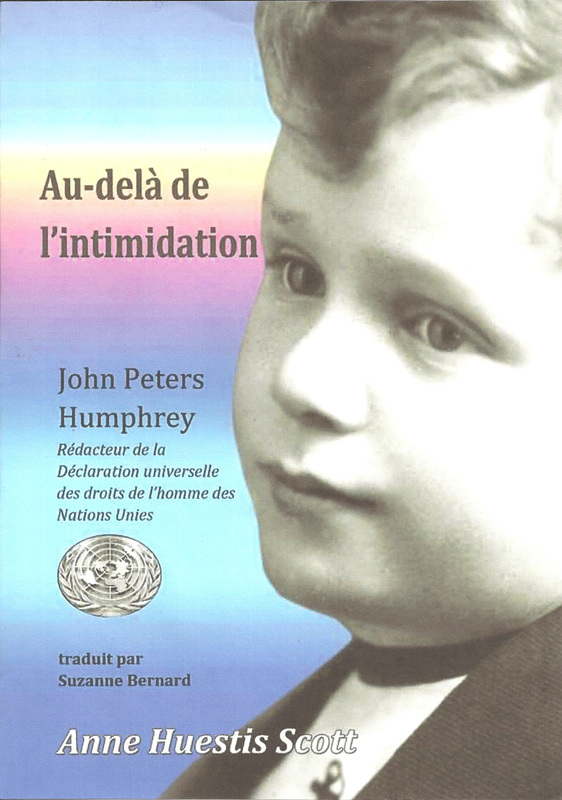 French-language translation of the book, Au-delà de l’intimidation has been completed. The book was translated into French by professional translator, Suzanne Bernard. It is now available in bookstores. By March, 2013, it should be available around the world through Lightning Source.